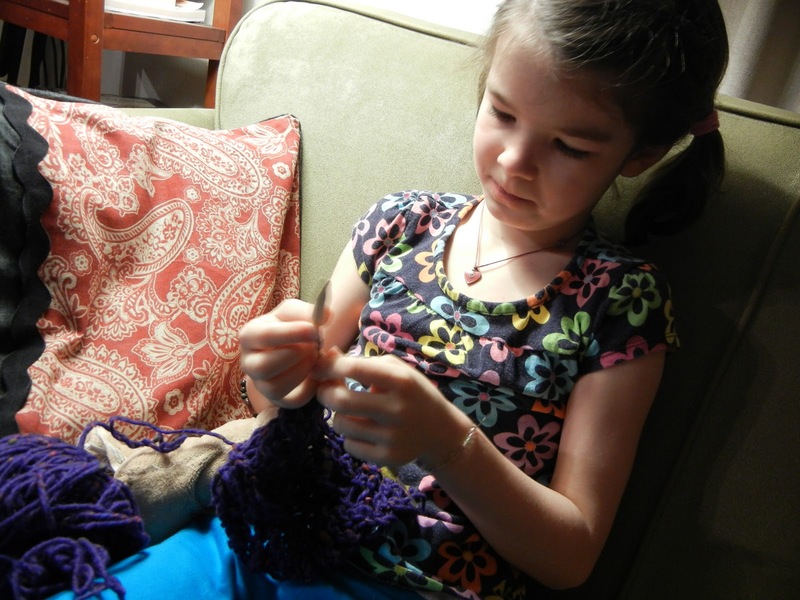 In the last two weeks, Morgan has learned to sew, knit, and crochet amazingly! She has come to me on three separate occasions asking to learn all three. First we started with sewing. 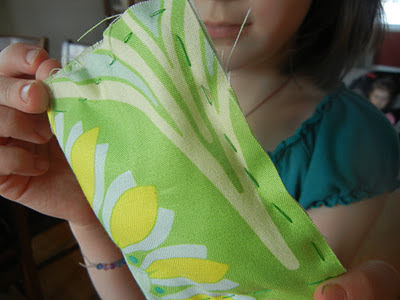 I told her, as I was working on a project for baby at the sewing machine during the babies' naptime, to bring over the material she wanted to work with, and I'd teach her to machine sew a simple square. Well, she insisted she learn to sew with a needle and thread. What a girl! She did beautifully and has since gone on to hand sew and stuff a couple more doll pillows. Next, she wanted to knit. 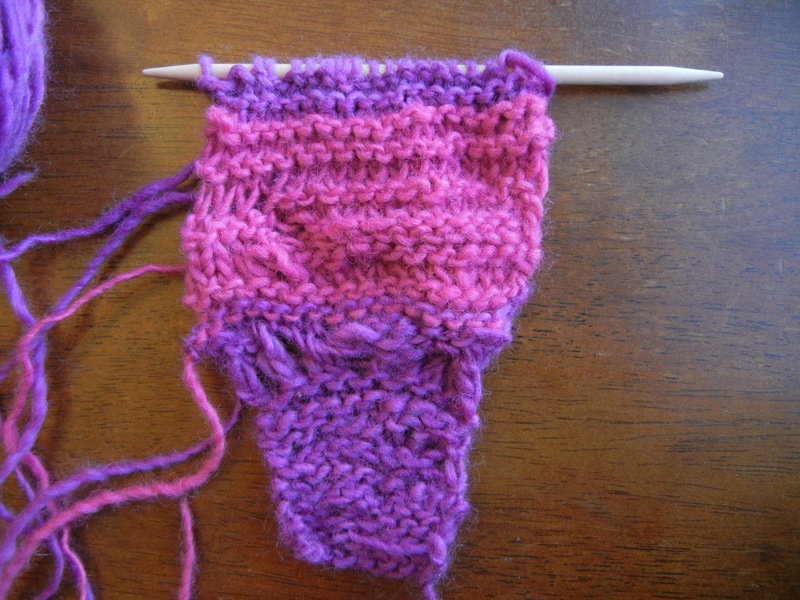 Knitting can be difficult for adult learners, so I was a bit wary, since we'd tried about a year ago and the concept just wasn't catching on. But a year made a big difference, and she is now knitting so well! Below is her very first project, which she is saving for her little sister's 4th birthday in a few weeks - shhhhh, don't tell! Look at the drastic improvement from the start to the stitches on the needle! 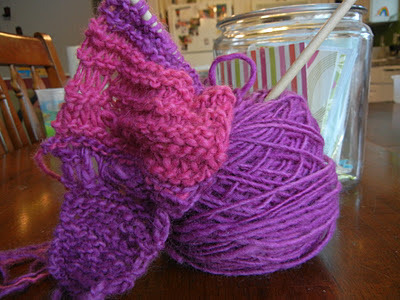 Every beginning knitter has to add and drop a few stitches here and there... 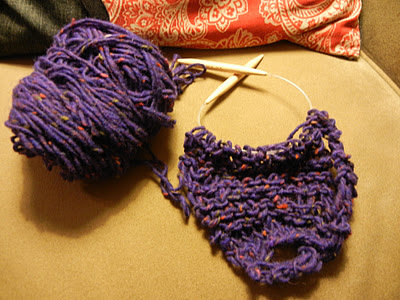 I've saved my first ever knitting project from 8 years ago, and boy was it ever full of holes! 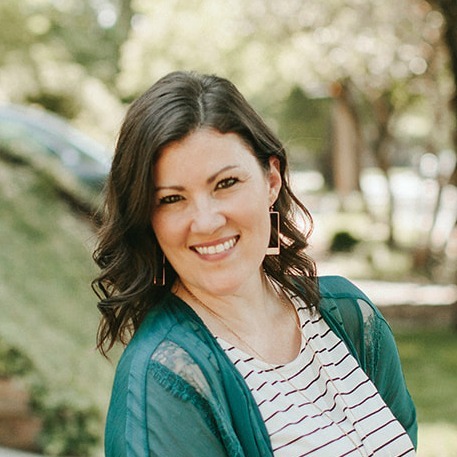 I'm so proud of my blossoming crafty girl, I'm imagining many fun moments knitting, crocheting, and sewing together. 4 comments on "it's in the blood"
I LOVE the picture of her on the bottom. LOVE her serious, yet contented look. What fun that you can do this together! Wow good for her! Like Mom. Very talented! excited with you! can't wait to share needles with my girls...what fun! Great job, Amanda. You are teaching her the arts that are nearly gone. Great job, Miss Morgan for wanting to learn all those wonderful things. I tried learning how to knit myself, but I ended up not being able to do it very well. 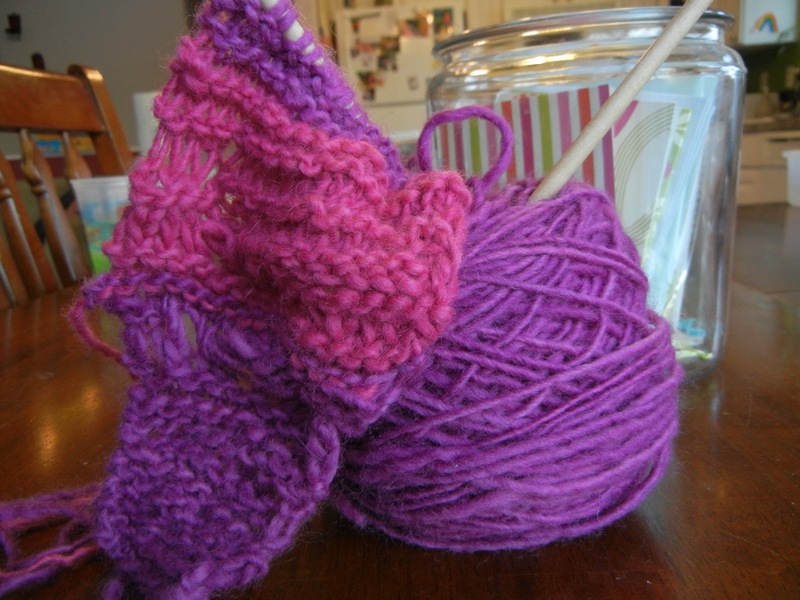 I do do some crocheting off and on and that's working MUCH better for me:-) Great post. Just thrilled about our Baby ....... !